The skills needed to confidently compile an electronic regulatory submission take years of on-the-job training, industry immersion and regulatory study to develop. Full or partial outsourcing to a proven eCTD partner is often the most cost effective solution - and one that gives your organization the flexibility to allocate resources to other projects. Based on the content of the Common Technical Document (CTD) format, the Electronic Common Technical Document (eCTD) transfers regulatory information from industry to agency in electronic form. The technical components consist of a high level folder structure, XML based metadata, document type definitions (DTDs) and stylesheets. All types of regulatory information can be submitted in electronic format, including new applications, variations and renewals for national, mutual recognition, decentralised and centralised Procedures. Regulatory information must be structured in accordance with the Common Technical Document (CTD). The exact structure and content is outlined in Notice to Applicants, Volume 2B, incorporating the Common Technical Document (CTD) (May 2008). Electronic submissions can be in eCTD or Non-eCTD format. NeeS applications do not need to conform to all eCTD specifications and criteria. However, it is highly recommended that the eCTD structure is used. This ensures that all sections of the CTD are in the right order. It is important that NeeS submissions be in conformity with the ICH Granularity Document and eCTD file naming conventions. The files in an eCTD should be organized according to the version 3.2 of the ICH eCTD specifications and the current version of the EU Module 1 specifications. 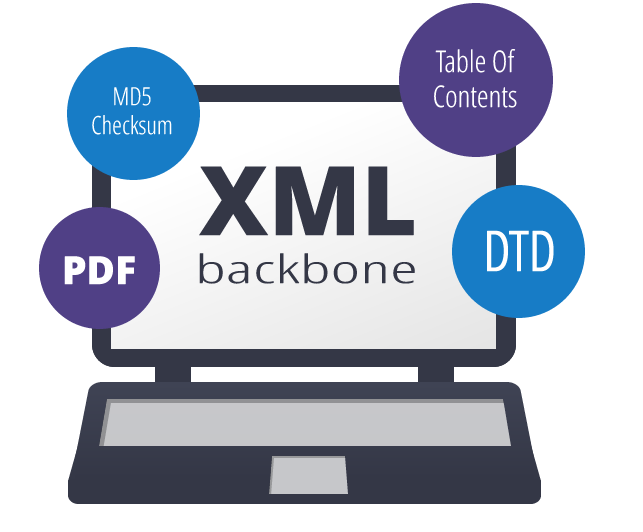 The eCTD consists of (mostly) PDF leaf documents, stored in the eCTD directory structure, crucially accessed through the XML backbone (index.xml) and with the files integrity guaranteed by the MD5 Checksum. In order to use eCTD, marketing authorization holders need to invest in appropriate software and maintain support systems.